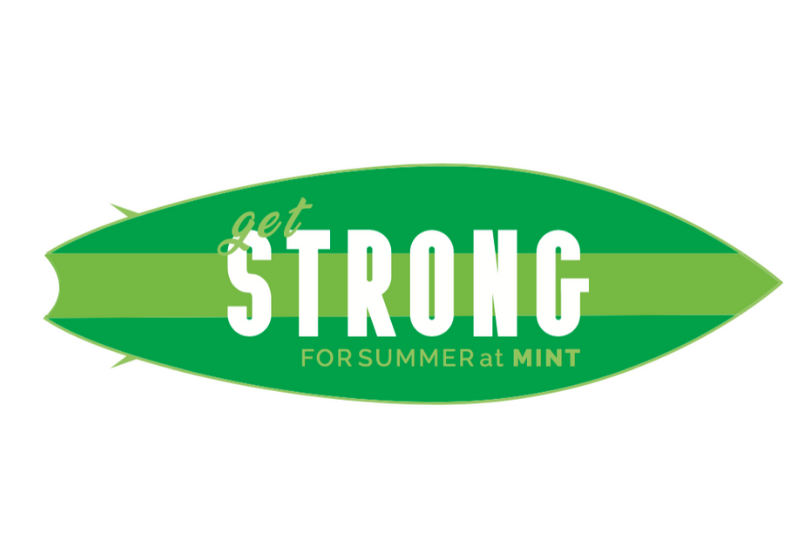 Now through April 27 you can register for our “Get Strong for Summer” fitness challenge! This challenge will run May 1 through June 15. The top 10 members will win prizes such as local restaurant and retail gift cards, MINTy swag, buddy class packages and more. All we ask is that you have FUN! 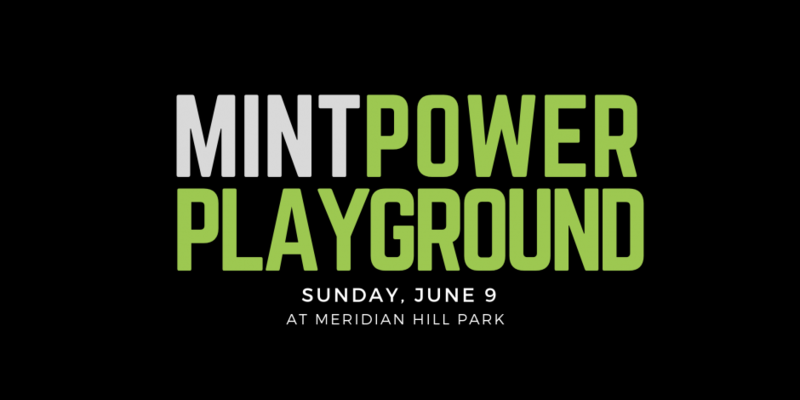 Join us at Meridian Hill Park on 6/9 for our largest, most engaging Power Playground class ever! Class will start at 11am. Leading the class are some of our all-star instructors – Myke Nicholson, Lindsay Grunwald and Colleen Daly. You must sign-up via the Eventbrite link in order to participate. This is a FREE class so bring your friends, family, co-workers, whoever! Get your tickets here today! 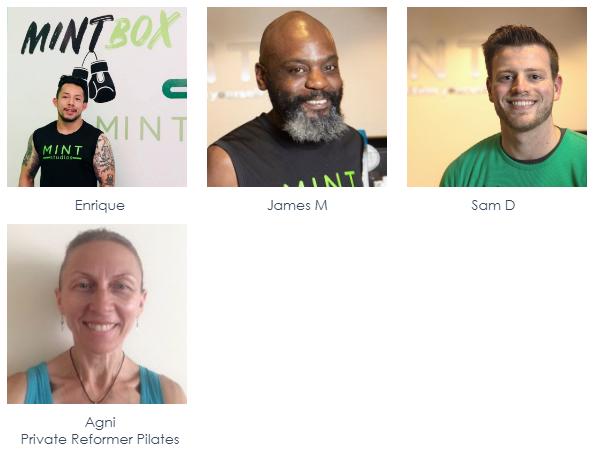 Choosing MINT as my gym in dc has been one of the best decisions I’ve ever made. The staff, trainers, and overall community is so welcoming and encouraging. I always come in feeling motivated and ready to tackle my workout. What are your fitness goals and how you have started working your way towards them? I came in not knowing much about weightlifting. My goal from the beginning was to learn proper techniques, build up strength and slowly develop bigger muscles all around. 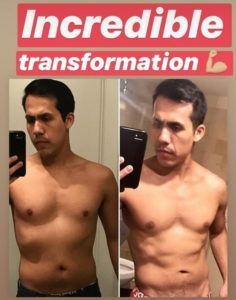 I immediately signed up for a personal trainer and have seen amazing results with Enrique these past 3 months. I can see the changes and want to continue my fitness journey. 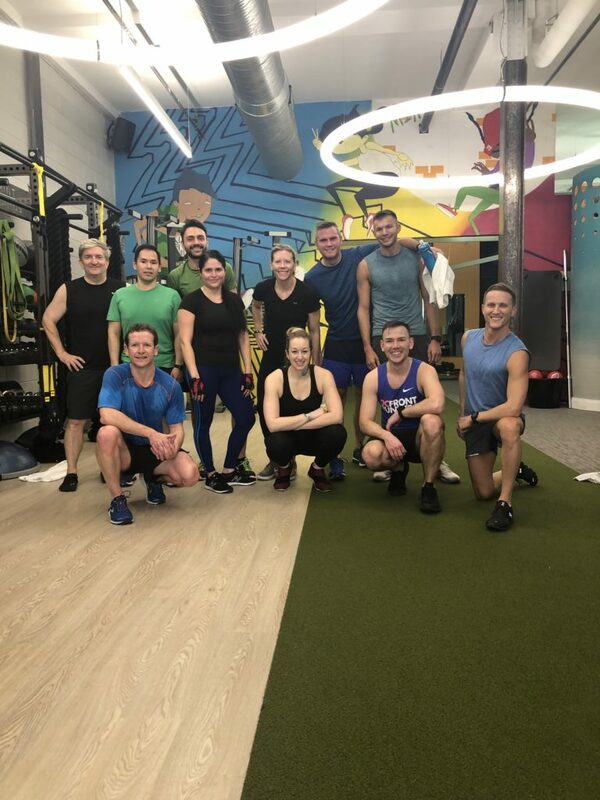 Can you describe what your experience has been like working with a MINT personal trainer? Transformational! 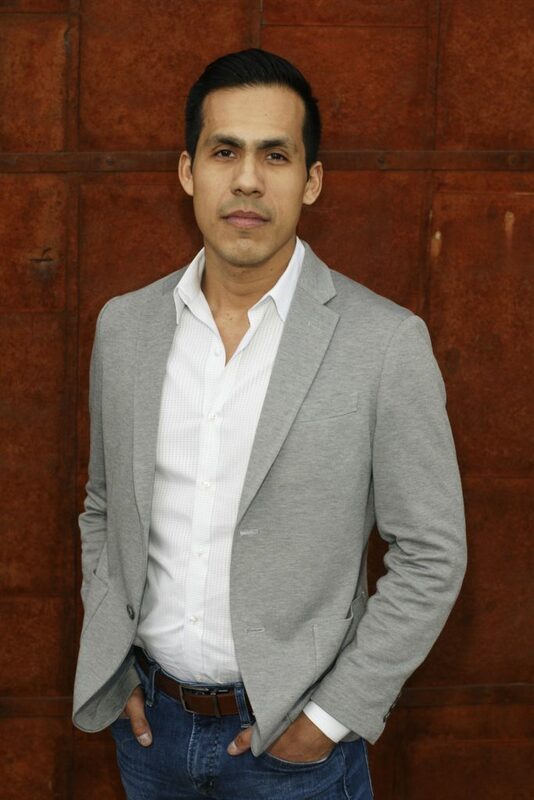 I started working with Enrique right at the beginning of my time with MINT this past January. Over these past 3 months, he’s pushed me to become a better version of myself. I always enjoy getting his feedback, his creative workouts, chatting with him, and we’ve actually developed a friendship along the way. He’s committed and focused on helping his clients and I’m so thankful he’s my trainer. I love, love, LOVE the FLEX class! Especially when I can attend Braegan’s class! She’s also so motivating and I love her workouts. I always feel like I’m getting a solid full body workout with FLEX. Want to get 25% FREE Cash? & No Strings?! Purchase a MINT gift card for $995 and you’ll receive an additional $155 for FREE bringing your gift card total to $1,150. Or purchase a $3,000 MINT gift card and receive an additional $750 for FREE bringing your gift card total to $3,750. Use this gift card on any regular priced membership dues, personal training, MINT swag and more! Can not be used towards discounted packages. Limit to 3 per person. The rowing machine, also known as the rower or erg, is one of the very few total body workouts that work both your upper and lower body. Originally designed for rowers who needed a way to train on land during the off season, the erg is now rocking the fitness community by providing workouts for everyone. 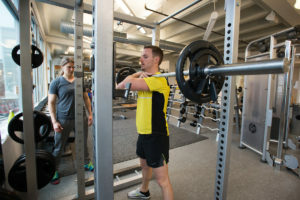 Gym-goers and fitness junkies are incorporating rowing into their workout routines to help burn more calories while performing a low-impact workout. Rowing is one of the most, if not the most, efficient exercises to improve your overall fitness. Because rowing has both anaerobic and aerobic benefits – meaning you are taxing your muscles (anaerobic) as well as respiratory and cardiovascular systems (aerobic) – it allows you to improve your stamina, strength, and flexibility in just a short amount of time. Studies have shown that rowing burns 2-3 times the calories compared to both cycling and running the same duration. It is a true total body workout. During the course of each stroke you engage an estimated 85% of your muscles. Pretty impressive for a seated exercise. Rowing is low impact, making it a great choice for those who are looking to be gentle on their joints. Rowing can help improve your posture, by forcing you to sit up tall and pull your shoulders back on every stroke. Those unfamiliar with rowing often think it’s an upper body workout, but rowing is actually about 70% legs! The remaining power comes from the combination of your core, back, and arms. It is NOT a weight machine. Although we do incorporate resistance (known as “drag”), a higher resistance doesn’t necessarily equal a more intense workout. In fact, a lower drag is most often a more effective and safer workout no matter your fitness level. You should never row with the max drag for an extended period of time — it’s a recipe for lower back injury. Interested in giving this workout a try? 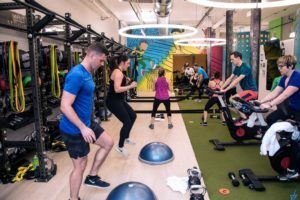 We’re currently offering it every Tuesday at 7pm, Thursday at 7:30pm, Friday at 6am and Saturday at 8am and 11am at our MINT 14th St location. Please sign up ahead of time as these classes tend to fill up quickly.